Urgent request for support to help impact REAL, impending food allergy legislation! I am reaching out to the entire food allergy community with a great opportunity for us to have an impact on REAL, forthcoming food allergy legislation. A few months ago, I was invited to work with a governmental body that is enacting a food allergy law pertaining to restaurants. (For now, please respect my decision not to mention specifics. 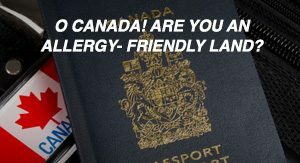 I believe doing so could compromise my ability to effectively represent our food allergy constituency.) I was, and remain, very excited about this opportunity to advocate for our community. In the course of this group’s discussions, there seemed to be a lingering question – what is the definition of an allergy-friendly restaurant? While I was very comfortable responding to that question myself, I believed at the time that it would be more effective to have community comments, which I was (and am) very confident would support my position. 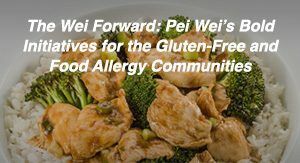 I suggested that I contact members of the food allergy community, via the thousands of AllergyEats members and social media followers, and solicit as many unprompted opinions as possible. This is an absolutely critical opportunity to affect not only impending legislation, but legislation that could become a template for other states and municipalities across the nation! I strongly urge you to take a few minutes to respond to this request. I believe my effectiveness in advocating for the food allergy community will be directly impacted by how many supporters answer this call. To that end, please also consider spreading this message as broadly as possible, using social media, blogs, or any other resource you have access to. The more voices we have, the more effective we will be! I assure you that I will continue to do my best in advocating for our community and I promise to share more about this particular legislation when appropriate. Important Note: I need to collect responses by February 2, giving us just one week, so please consider responding as soon as possible. An allergy friendly restaurant would be one that “gets it”. That means they understand how serious food allergies are, and they completely understand CROSS CONTAMINATION, and know how to prevent it. Cross contamination is a big one. It seems that that is the main thing that makes a difference in if a place is allegy friendly or not. I like to hear a place answer with confidence and knowledge when I ask them a question regarding food allergies. When I hear “ummmm, no I dont think we have any nuts….” it doesnt make me feel assured. Id like to hear someone answer with confidence, as if they have been trained “No, we dont have any nuts, this is our allergy policy, here is our allergy menu, or list of ingredients, I will get a manager to explain our protocol to you…” or something like that. 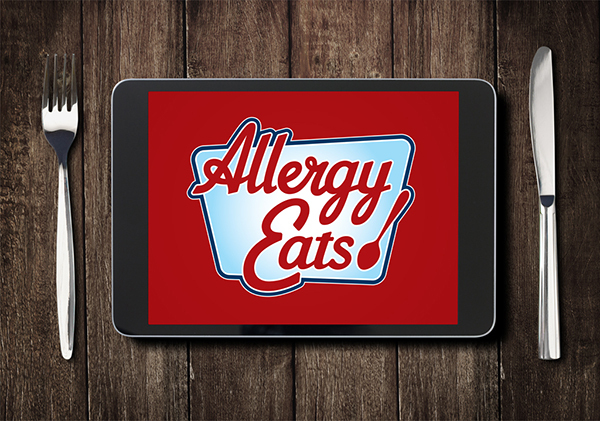 I would define a food allergy friendly restaurant to be one that is well informed about food allergies, can relay that info to their customers and can safely accommodate someone with food allergies. I believe that the definition of a allergy friendly restaurant is one that is able to list all of the items in the food. I’ve been to several places that can’t tell you what is in their food and that doesn’t make me feel like its a good/ safe place to eat. Also an allergy friendly restaurant would be a place where you can tell your server that you have an allergy and the server will relay that info to the chef. They will make sure that nothing is cross contaminated and that all of my food is handled with clean hands (not the same gloves touching everyone elses food) and with clean utensils that are washed. They also will be upfront about what’s in the food. If I ask does that have nuts in it? they should be able to tell me upfront w/out running to the chef who may or may not know. Everyone working at that restaurant should know what is in every product and how to serve food safely. Everyone who touches my plate or prepares my food should wash their hands and use clean utensils. Moreover, I think the best allergy friendly place will have a seperate menu for those of us with allergies, listing the foods and what is in them. 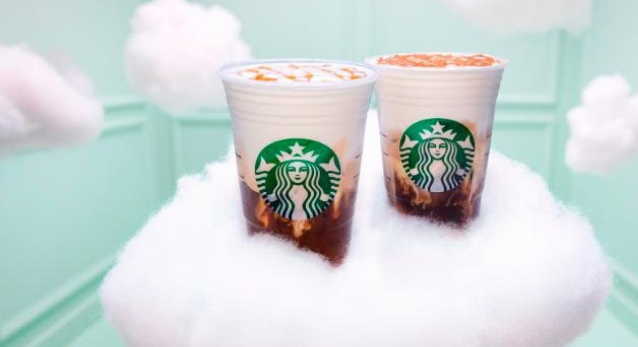 I’ve yet to go to a place that offers this, but if the restaurants did that would be amazing. Totally agree with the first comment about cross contamination. I also think an allergy friendly resturants staff needs to be clearly informed on allergies and what all is in their food. The staff should also be willing to accomodate alternatives such as dairy, why not have Earth Balance butter as an option instead of butter, and I’d like the staff to be courteous. NOthing worse than getting a waiter/waitress thats rude, and you don’t feel comfortable that they find the allergy affected persons requests to be serous. The menus should also have some sort of a allery symbol list, so each menu item can clearly indicate what has nuts, dairy, fish etc. My daughter has numerous allergies some in the top 8 catagory some not. While I don’t expect them to list every single ingredient (while that would be nice!) the top 8 are the biggest concern. An allergy friendly restaurant is hard to define. My girls are allergic to peanuts. One is ingestion type, meaning she must ingest it. The other is inhalation type, meaning all she has to do is smell it. Peanut oil is highly invasive and hard to clean away. Thus, any place using peanut products is an automatic out for us. We managed to find a restaurant that is peanut free. They have really good food too. Not over priced as many do. Its my favorite place bc I can be sure my kids are safe. Perhaps the definition is to define allergies first. There is an increase in inhalation type allergies. Defining what foods can be inhalation type, like peanuts, and then ensuring that these places that are allergy friendly do not use these products at all is the best way. With other allergies, ensuring that there is a separate place for use, with specific utensils, etc for use with those allergens, ensuring no risk of cross-contamination. Also, having the staff there knowledgable about food allergies. Often, the lack of understanding is behind most ppl’s resistence to accomodating those with these allergies. They need to know that these foods, while common for many, are like poison to our children with the allergies. Or simply removing these items from the menus. While my kids are not allergic to dairy, if it meant a child’s life, I would gladly give up dairy for one meal! I think also that ANYONE dealing with children on a daily basis needs to be educated in food allergies. This includes schools (both public and private), pre-schools, daycares, camps, pediatricians, hospitals, etc. Knowing that your child is safe is so important. If people are properly educated, there is a sense of relief. My husband and I took a 5 hr seminar on food allergies after our girls developed their allergy to peanuts. We learned so much! This should be a standard in ALL places where children will be. And don’t just educate a couple. Educate EVERYONE in that facility. It should be MANDATORY for ALL employees, even the cleaning crew as they often must ensure the place is allergen free. There is a great amount of frustration at finding that there are so few who know anything about allergies in your child’s school! Children need to be safe in their educational environment. They should not have to worry that the substitute teacher ignored the PEANUT FREE ZONE sign and is walking around the classroom eating a peanut butter Kit Kat bar! For educators, making the classes mandatory in their college years should be standard nationally. Oh, I could go on and on!! There are so many ways to help our children! First and foremost is ensuring that those responsible for them during their daytime hours are knowledgable about allergies and just how dangerous they are. Many people also confuse allergies with sensitivities. The difference needs to be clear. I have met so many who worry over sensitivities, or ignore allergies thinking they are simply sensitivities. Sure, processed sugars and MSG can make a child with ADHD more hyper. Been there, done that. But that is a sensitivity. The allergy is dangerous and even deadly to the child who has a true food allergy. I’ve been known to get the point across by asking, “Would you let your child play with rat poison?” They respond with a shocked “Of course not!” I calmly reply, “THAT is exactly what peanuts are like to my child.” Point taken. Call me nuts but sometimes its the only way to get the point across. People need to understand how deadly a food allergy can be. Knowing that your child’s throat swells, they weeze, gasp for breath, and are often given oxygen because they need it following an episode, yeah. They need to know just how deadly these simple foods that so many take for granted can be. 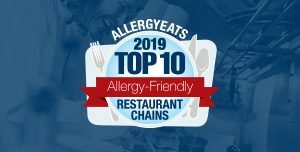 An allergy-friendly restaurant in my opinion, is one that takes extra steps to not only avoid cross-contamination for food prepared for an allergic patron, but also to provide a separate allergy- friendly menu. This menu would clearly state an ingredient list for each item on their regular menu and have categories stating which items can be eaten for each specific allergy. It would also offer suggestions on how to change a regular menu item to make it allergy- friendly i.e. If you have a milk allergy ‘order frys without seasoning and burger with no bun’. In an allergy friendly restaurant, the wait staff would inform the cook that this order has an “allergy alert” and it would be clearly stated on the receipt to show how the order was put in. All of these things would make an allergy friendly restaurant successful, but what would take it the extra mile in my opinion, would be to offer a few menu items specifically for patrons with allergies i.e. Gluten-free pasta or milk, soy, egg- free cake. All of these components I believe make up a GREAT allergy-friendly restaurant. 1. A restaurant that trains its staff on what food allergy is, on how to avoid cross contamination, on how to look up ingredients on all restaurant items and how to inform other restaurant employees (cooks, servers, manager) who may be involved in the order. A formal training program, such as the ine offered by FAAN, should be in place. Employees should be trained when they are hired and have refresher training annually. The staff needs to understand and take food allergies seriously and courteously. 2. The restaurant should have a complete list of ingredients for all food items. Also, include on this list potential for cross contamination. 3. An allergen menu for the top 8 allergens. If they post it online, this is especially helpful since families can plan ahead. a. Dedicated or alternate equipment. Some restaurants have dedicated fryers! This is a common source of cross contamination. Kids are so excited when they can also have the fries! Or perhaps the meal can be prepared in a dedicated clean plan, instead of on the usual grill. b. Offer alternatives. Part of this can be simply looking at the kids menu and seeing “Would a child with most common child allergens of milk/eggs/nuts have some choices?” Can the common allergens be avoided? (One restaurant served individually wrapped oreos as the kids dessert! And they were labelled!) Disney provides safe alternatives, such as allergen free chicken nuggets and Enjoy Life allergy freindly chocolate chip cookies at some of its counter service rsetaurants. An allergy friendly restaurant would have separate cookware to prepare food for the customers with food allergies as this would avoid cross contamination. They should take the food allergies seriously and have a separate menu to cater so it’s easy on the chef and the customer. I think all of the above comments make good points. I have been to some restaurants, like Chili’s, that do seem to be allergy-friendly; they have special menus for all of the major food allergens on their website, and when asked, the servers at my local Chili’s have brought a hard copy out in case we’ve forgotten what my daughter cannot eat. The 99 Restaurant is another good example – they have a printed gluten-free menu and are always very careful with my daughter’s peanut allergy. In most cases, the manager comes out to discuss the chef’s plan of action to cook her food. This is very reassuring. Cross-contamination is the definitely the scariest issue for me. We don’t go to several different restaurants with my daughter because they can’t guarantee the peanut butter in their kitchens won’t get into other items. The staff of an allergy-friendly restaurant needs to be well-trained in food allergies. “I don’t know” or “I’m not sure” are unacceptable answers to our questions. Lastly, truly allergy-friendly restaurants need to offer alternative choices for people with allergies. The comment above about Disney reminded me that they did have other safe desserts to offer my daughter, so she didn’t feel left out. That was great. An allergy friendly restaurant would be one that is well educated on ALL staff levels. 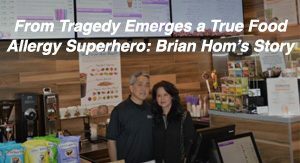 They would understand that celiac disease is an autoimmune disease and not a food allergy and they would know that a peanut allergy could cause anaphylactic shock and a death right there in their restaurant. ALL employees would be well versed in the ingredients in the restaurant and dishes. The chef clearly knowing the most but everyone -everyone that worked there would be well versed enough AND TAKE IT SERIOUSLY ENOUGH and know enough to know if it’s a jar or can involved in the dish they will have to check the ingredients and or show you the label. And if it were all fresh ingredients they could list them all off. And I guess if somehow that were asking too much in all of the above they have got to -absolutely be under ALL circumstances extremely, unbelievably accommodating. If they don’t know enough to know enough then they better bring me back into the kitchen if thats what it’s going to take to make me feel me comfortable about eating my meal there. Wait staff and cooks would need much more training and education to understand food allergies and just how dangerous they are. Also, they would need to be taught to respect all customers with food allergies and not give in to the temptation to treat them like a burden. (Note: I give a handsome tip to servers who go the extra mile and handle our food allergies very well). I like it when they have a food allergy menu online. If you don’t have one that I can look at right away, I’m not going to go to your restaurant. The manager must be very involved, and the wait staff attentive. I usually don’t have any problems at restaurants, but our allergies aren’t as severe as many people. I can see how these rules alone may not be enough. As it stands, we avoid fried foods because the risk is too high. If higher standards were placed on the frying foods in restaurants, using separate fryers for different food items, then my kids might have the occasional french fry or chicken nugget without worry. It would be nice to see that happen. But I can see how that might be a hard one to accomplish, especially when there’s a rush in the restaurant and the kitchen is in a frenzy. You can easily see a trainee drop the wrong food item into the wrong fryer, and then it’s all over for the next food allergic person ordering something that went into that fryer. I believe Ming Tsai’s approach and his restaurant Blue Ginger are the ideal definition of “allergy friendly” for restaurants. 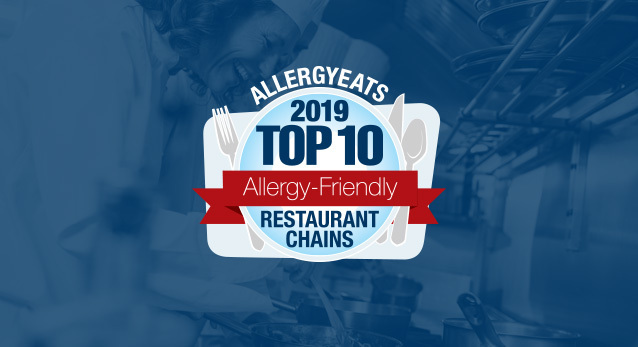 The majority of restaurants, understandably, will not achieve–for a variety of reasons–the level of food allergy friendliness that exists at Blue Ginger. Food allergy menus create a false sense of security and should not be required or encouraged. We have had reactions in restaurants which appeal to families with food allergies (because of their food allergy menus), but a food allergy menu is only as good as the staff implementing it.